Love love LOVE those shoes! I have been goggling the designer pair for a while now, too. Cute! But the real question is: are they painful? I have been resisting F21 shoe purchases, because I expect them to feel like walking around on bricks with some stapled on straps. i love this outfit!! and what you did with your socks is so cute! oh, I really like how they look! I didn't realize their Chloe-ish-ness until now- are they painful? You look amazing in plaid! 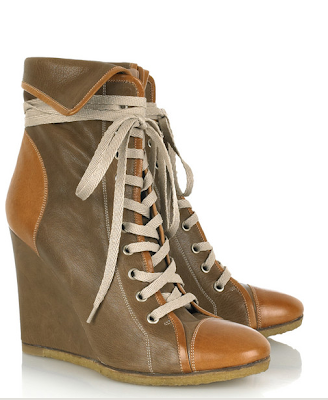 Oooh I love the F21 booties. They look great and similar to the Chloes! This outfit's perfect. And the snow looks beautiful! and cold! Your expression is so cute! Good luck with the new shoes. you're an inspiration..you look so fab even in non-designer stuff! I adore your new hair! I know you have it for awhile but I think you pull it off beautifuly! Those shoes are fantastic and I really love how you slouched the arms to your cardigan so that your shirt peeks out! Amazing outfit! the shoes are awesome! you look cute! Shorts, tights, socks and booties... this is a look that only a few can pull off. You are one of the chosen ones...:) You look great! I'm in love with these Chloé boots! I want them! i am the same about the boots...love those chloe ones, and your version is so cute too! love how you put together a really fresh outfit with basic pieces. lovely! that is the perfect thrift store plaid shirt! i'm jealous. ahhh i love your look! i just found your blog & i am so happy i did. i'm in love with your look! i love those shoes. i can't believe they're forever21! what a great buy. they definitely remind me of those chloe ones. and your pug in the previous post is ADORABLE!!! i have a pug too ^_^ yours still looks like a little baby puppy! my pug's name is Oscar and he's a little over 2 years old. and he's an apricot color. i love pugs. i get so happy when i see other pug owners, hee hee. I love that you did this comparison! I was actually going to do a post about the Chloe boots v. the Forever 21 boots! Way to go. Oh, I've had my eye on those shoes too! They are adorable! How are Forever 21 shoes in your opinion? I'm a 7.5 so what deters me is that they don't sell half sizes.. advice? I don't own many pairs of F21 shoes, but this style definitely runs big! I usually wear a 6 or 6.5, so I wasn't sure which size to get. I got the 6, and they're a bit too big! If you're a 7.5, I bet a 7 would be perfect, at least for this shoe. i like your hair cut much more .i liked the way you have styled the cardi over the shirt.you are very stylish.i don't go for logos either. I love the tights with shorts look, I have been wanting to try it for a while now. And those shoes look amazing with it! I love the color. I really like your socks!